A good credit score, the result of prudent financial management practices, can come in handy when you dream of having a car or a home financed in the future. 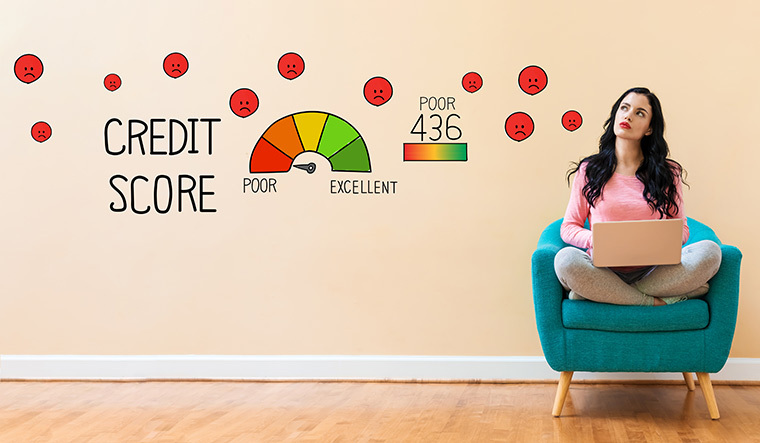 Easy to build yet easier to ruin, a credit score is the sum of a few judicious calculations in terms of utilising your available credit options vis-a-vis your income. Lenders can squarely judge whether you are experiencing financial stress or not, going by your debt-to-income ratio and credit-utilisation ratio (CUR). Thus, keeping key ratios related to utilisation, debt levels and balance to limit can improve your overall credit score, and get you a better appraisal from lenders. Debt-to-income ratio: It is the ratio of the amount that goes towards paying debts and other financial obligations expressed as a percentage of gross income. For example, if you earn Rs 25,000 a month and spend Rs 12,500 to pay credit card bills and other debt obligations, including loan EMIs, your monthly debt-to-income ratio would be 50 per cent. Even though the debt-to-income ratio does not directly influence your credit score, it forms a critical part of your overall credit health and it is considered by lenders in loan application process. Credit-utilisation ratio: Credit-utilisation ratio is a measure of your credit card balances versus the credit card limit. This is one of the factors influencing your credit score. To elucidate further, if a person’s overall credit card spending limit is Rs 1 lakh and his current outstanding balance is Rs 40,000, then, his CUR stands at 40 per cent. As against this, another individual who spends around Rs 40,000 a month, after acquiring a larger credit card limit of Rs 2 lakh manages to keep his CUR at a constant level of 20 per cent. Both debt-to-income ratio and credit card utilisation are a measure of the financial leverage one has built over time. While there is no single cut off defined for these parameters, a continued increase in leverage could lead to drop in score. No single ratio is considered in isolation while calculating your credit score and your repayment regularity, level of borrowing, type of borrowing, etc, are other important aspects. However, the two key ratios say a lot about your efficient debt management and controlled spending, it holds much insight for a lender about your bonafide intentions when it comes to servicing debt obligations and hence influence the lending decision for lenders. Jayaraman is MD, Decision Analytics at Experian Asia Pacific.